When Eircom, Ireland’s largest telecommunications company, decided to build a new state-of-the-art international headquarters, they turned to Ascough Consulting Engineers to act as the project’s building services consultants. As part of their brief, Ascough consultants had to source, specify, and fit-out the new build’s electrical and lighting requirements – which included state-of-the-art Audio Visual and Lighting systems. In turn, Ascough hired Meritec to meet these requirements. ‘When Ascough was hired by Arup, one of the project’s primary project developers, we generated a variety of Request for Tenders,’ Tom Ascough, one of the company’s directors explains. ‘The audio visual and lighting sub-contract was valued at approximately €1 million, and incorporated a wide range of multi-room and multi-purpose audio visual and lighting systems. Six companies tendered for the project in a tight competition. ‘Meritec was chosen due to their recommendations, as well as their industry experience, financial strength, and excellent reputation. 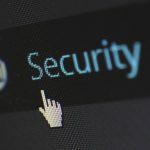 Having chosen Meritec, we were instantly impressed with the tremendous vision that they brought to the project, as well as their commitment and attention to detail. In that the Audio Visual component of the build was yet to be finalised, we depended on their experience, enthusiasm, and recommendations to help us in our final presentations to our client. 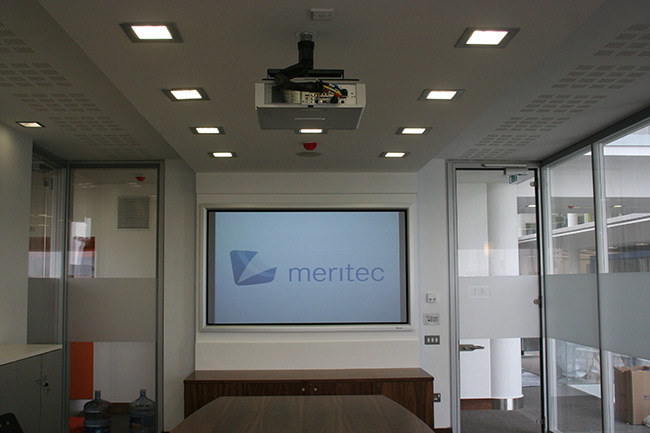 Meritec’s Audio Visual and Lighting systems are composed of a wide variety of sub-systems. For instance: a TV signal is broadcast throughout the building. 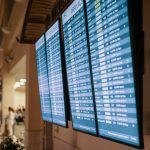 These signals can be received by a variety of flat panel display screens, integrated as part of the solution, and located in various public and employee areas. Broadcast content, as well as most other audio visual and lighting sub-systems, are managed with easy-to-use pre-programmed computerised controllers. Ronan McLaughlin, a director at Meritec, explains the company’s commitment to this extensive project. 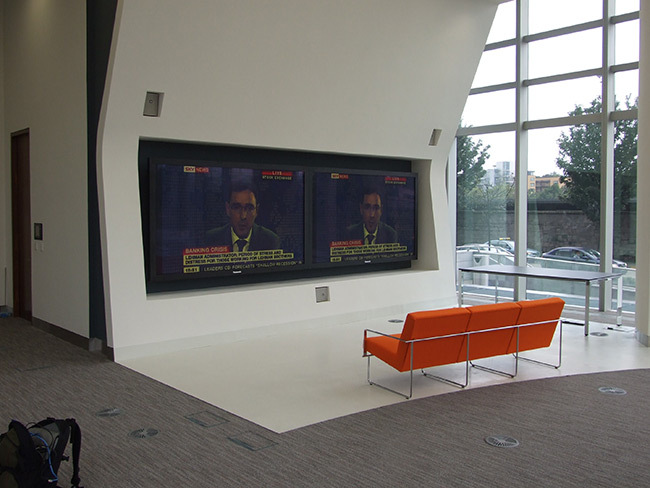 ‘We viewed the Eircom Audio Visual and Lighting project as a real challenge. 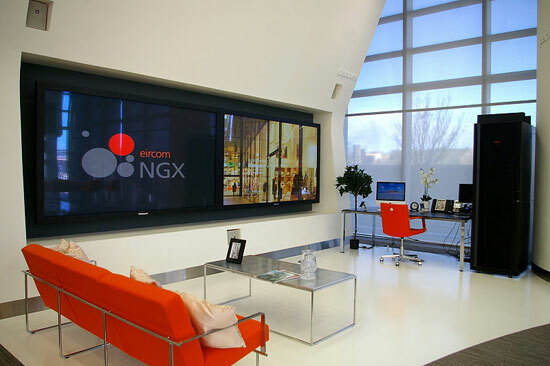 We wanted to demonstrate what audio visual and lighting design excellence could bring not only to those Eircom staff members using the facility, but also to the Eircom suppliers and customers visiting the building. ‘We believe that we not only provided design excellence, but also recommended and installed audio visual and lighting systems and sub-systems that demonstrate state-of-the-art, proven, technologies. These solutions work to enhance the architectural features of the building’s internal environment, as well as assisting Eircom staff in the completion of daily tasks. We believe that our solutions work in tandem with the building’s architectural features, while also increasing staff productivity and efficiency due to the technologies that the solution employs. Tom Ascough agrees with this assessment. ‘Meritec delivered exactly what they had promised, but it must be emphasised that their solution far exceeded expectations,’ Tom states. ‘Many of the sub-solutions provide the environment of the building with a “wow” factor. For instance, when customers walk into the Customer Demonstration Area, they are greeted with two huge 103-inch flat screen display panels. 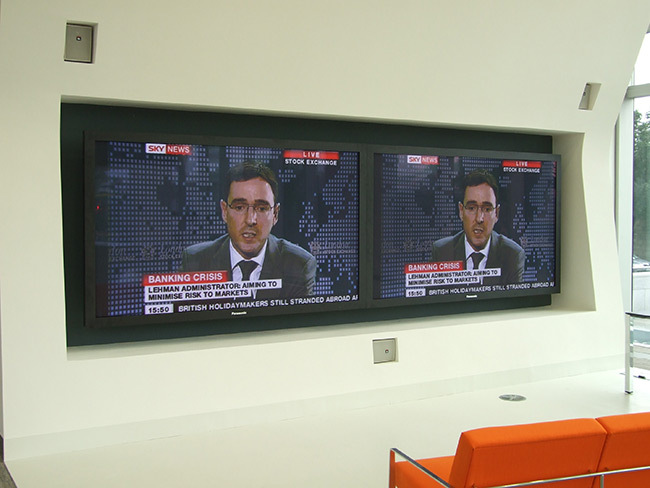 These panels can broadcast a wide variety of content, all of which can be pre-programmed by Eircom staff using the Meritec-supplied control systems. The size of those panels is awe-inspiring. ‘Additionally, an interactive touch screen table has been installed in that area. This is a futuristic, 21st Century piece of technology that is at the cutting edge of AV design. The top of the table works as a touch screen display area. PowerPoint, or other visual presentations, can be uploaded onto the tabletop. Eircom customer service representatives simply touch the tabletop display to scroll through the presentation. 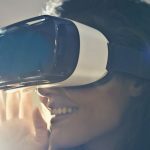 They can even rotate that presentation through 360 degrees, thereby turning the visual display toward any particular customer sitting at the table. Tom has no hesitation in recommending Meritec to other architects and consultants. ‘Meritec provided us with a complete solution, from start to finish. Their commitment to the project was exceptional, as was their insight into our objectives, and how they might help us to achieve them. ‘They partnered with us throughout the development, design, and installation stages, and provided us with a depth of knowledge within the Audio Visual and Lighting Solutions area that we relied upon. For more information on Meritec Audio Visual and Lighting solutions, contact us: Tel: 01 281 2790.